Most travelers are now seeking unique destinations where they can fully unwind away from the crowds. One such destination is Raja Ampat in Indonesia. This is not only divers’ Mecca but nature lovers are also lured here by the extensive marine ecosystem which is home to the largest fish, mollusks and corals in the world. It is classified as the ultimate marine region with more marine species than any other place in the world. This archipelago boasts over 1,500 islands and islets. The major reasons it now features among the must-visit destinations is due to this diverse range of species, making it a top diving vacation destination. If you are looking for a serene vacation away from the hustle and bustle of your city, Raja Ampat has the solution for you. The permit issued is valid for 1 year from the date of purchase. Of note to visitors is that you don’t need a special SuratJalan permit required to travel to the wider West Papua region. When applying for your visa at the embassy, there is no need to mention you will need to visit Raja Ampat to avoid the complications of applying for the SuratJalan permit. If you have travelled to Raja Ampat before, you might have paid the Raja Ampat Marine Park Entry Permit tag (or PIN). However, a new organization is now in charge of revenue collection, hence the change of name of the fees to Tariff to Support Environmental Services in Raja Ampat, which every visitor must pay. The UPTD BLUD is now in charge for better distribution of the funds and to benefit the intended recipients by providing a sustainable revenue stream. How the Raja Ampat Entry Fees Are Used? The new fee is supposed to boost operations by aiding conservation efforts. 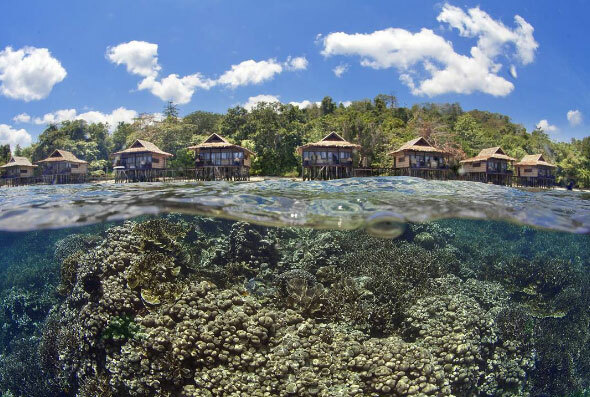 The non-government fees being charged by the UPTD cover a portion of the costs of protecting Raja Ampat’s habitasts, fish, reefs, and other marine resources. These fees also go to a community fund. To buy the Raja Ampat Marine Park Entry Permit tag, you can visit the Tourism Information Centre in Sorong, at the Waisai Port Office Ticket Booth, or at the UPTD KKPD Office in Waisai. If you are planning to visit Raja Ampat, it is important to have the permit tag to allow you enjoy the full experience especially when you stay with Papua Paradise Eco Resort.